With a total of seventeen different titles up for grabs across the whole company, it can be a little hard to know where to begin with listing the WWE champions as they are — there’s always one or two you’re going to forget. Remember the NXT UK Tag Team champions? We didn’t straight away. Below you will find the list of WWE champions as things stand, whether it’s on SmackDown Live, Raw, NXT, 205 Live or NXT UK. The way WWE is, this list will be changing pretty frequently indeed. 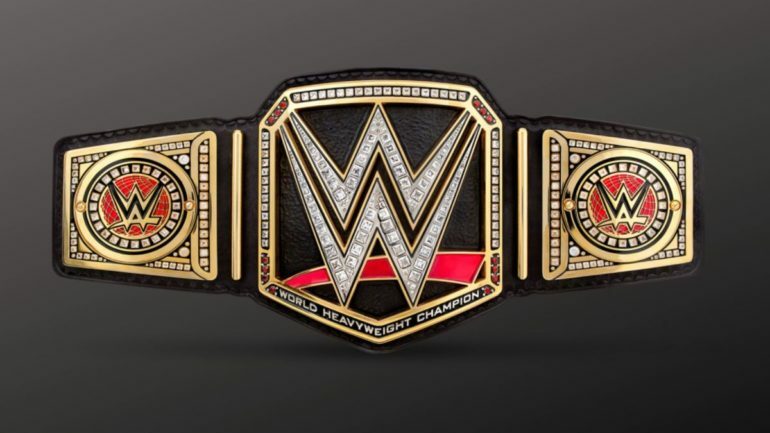 Below you will find all the current champions for Raw, SmackDown Live, and 2015 Live, even though the Cruiserweight Championship is recognised as a Raw title. Raw is denoted by red and SmackDown is blue. Next up are the current WWE NXT champions, a list that is in flux a lot less than the main roster equivalent as most titles don’t change hands often outside of TakeOver events. These accolades do not feature belts, so we’ve separated them into their own category. We aren’t including Money in the Bank as the accolade becomes void once a briefcase is cashed in. For one reason or another, these are all of the titles that WWE have retired over the years. A lot of them are a result of the brand split, but others (such as the World Martial Arts Heavyweight Championship) never should have existed anyway. We’re including last champions and year held. *does not include WCW titles that were retired almost immediately.